I believe that for projects to excel and evolve into WOW projects it is not sufficient to focus on project objectives and even less so on requirements. One of the reasons is that they are subject to change. If involved project members and stakeholders believe them to constitute the foundation for the project, such changes ought to lead to terminate the project, unless they don’t really know what they want to do or strive for. WOW Projects are projects that add value, projects that matter, projects that make a difference, projects that leave a legacy. And those are projects that bring happiness into our daily lives – on the individual. team and customer levels. Successful WOW projects are characterized by a strong, commonly understood and supported motivation and vision by all involved parties. The motivation describes why the project starts in the first place. This could be a problem that needs to be resolved or an idea worth exploring. The vision delineates the ideal state in contrast to, for example, the problem that triggered the project. Both motivation and vision are long-lasting, they are not necessarily time bound. Unlike projects which are time-boxed, having a start and finish date. Corollary, motivation and vision set the overall direction of a movement of which a project is a stepping stone. In other words, motivation and vision may serve as a compass during the complete project life cycle. Project objectives and requirements may change, the motivation and vision don’t. If they did, a project lacks the necessary foundation of existence; if continued it may become a zombie project but that’s pretty much it. In short, for projects to excel and evolve into WOW projects you need the full understanding and support of your MVP – motivation, vision and project goals – by all project team members and stakeholders. 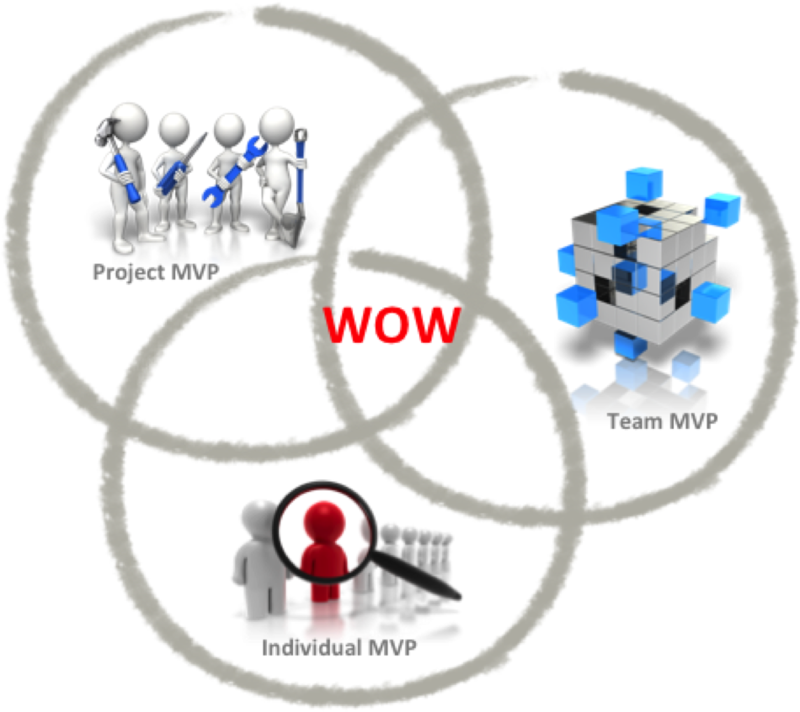 Developing an MVP for a project is the first prerequisite for developing successful WOW projects. It doesn’t stop there. Project work is teamwork. Hence, it is equally important to develop MVP’s for both the team and the individuals. Regarding the latter, individuals, project leadership ought to provide the space for individual team members to identify and share their personal MVP’s, i.e., what motivates them to work on the project, what they envision and what concrete goals they may have. Sharing personal MVP’s may be strange for some people. But then, if you are seriously interested in developing and sustaining a successful WOW project wouldn’t you want your teammates to know what drives you, what you expect, what you want to contribute and vice versa?! 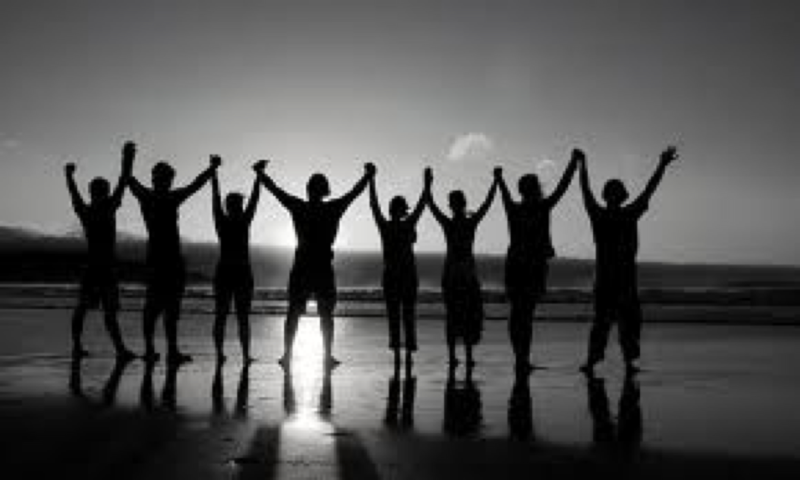 Sharing personal MVP’s helps move a group of individuals closer together and thus contribute to team building. Finally, aligning all three MVP dimensions – project, individual and team – is where magic can happen; it is the spark for WOW projects. It takes teamwork to the next level. It is like three separate entities moving into the same direction at an accelerated pace, not because of external pressure but intrinsic motivation. The outcomes are greater happiness, productivity, quality and, last but not least, results. Even the longest journey starts with the first step. On this token, I encourage you and your team to have a closer look at your own project(s). Please let me know if you’d like me to help you build WOW projects through customized workshops and trainings. Workshops can be as short as 2 hours or several days depending on your needs. Or, if you like, I can accompany your journey over a period of several weeks through coaching and consulting. Ever wondered what could turn around your struggling project, or shape a project that it tells a story and convinces others just be hearing about the project? Well, there could be a simple remedy. And that is to link happiness to your project. – Ok, let’s start slow. This week I conducted a seminar on project leadership. In one of the central exercises smaller groups worked on fictitious projects. Seminar attendants could pick whatever topic, issue or question they cared about. One group chose to ponder how to improve time management for students obtaining a graduate degree while having to work full-time and nourishing a family. 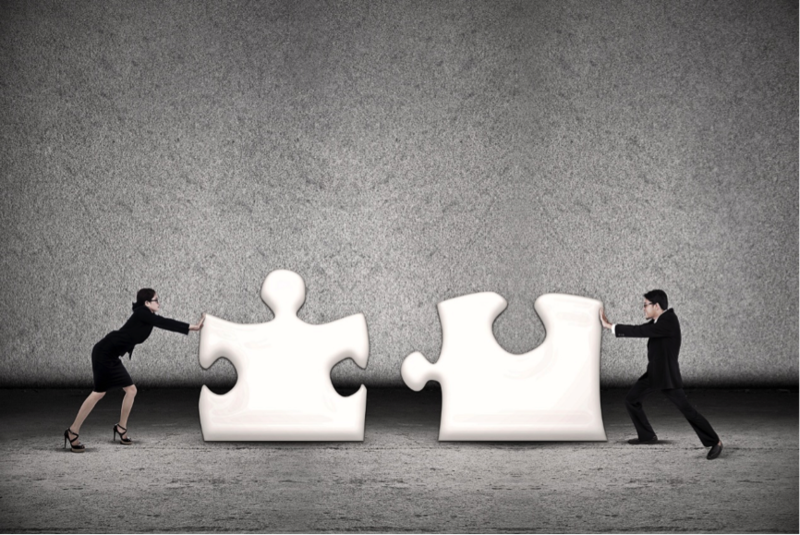 Another group analyzed ways and means to improve a business partnership with suppliers. And yet another decided to talk about the need of drones for the German military. At the end of each exercise session teams presented their results. They shared their views what motivated them to work on their particular project, what they envisioned and what specific goals they were pursuing. Not too surprisingly the project with the military drone got rather passive looks and no real feedback when they presented their project. This changed when I asked the teams to address a simple question with respect to their project. “How does your project contribute to happiness?” That’s it; just this simple question. I was curious what the teams would come up with. Especially the drone project. After all, linking a military weapon, defensive as it may be intentioned, with happiness?! That would be a tough sell. Well, things did not quite work out as assumed. When it was their turn everybody expected them to talk about the various functionalities of a military drone, its specifications and how to use it in combat. But instead the group talked about peace enforcement, conflict prevention and support for human rights. And they talked about it in an appealing way that reached people and caused their emotional reaction. 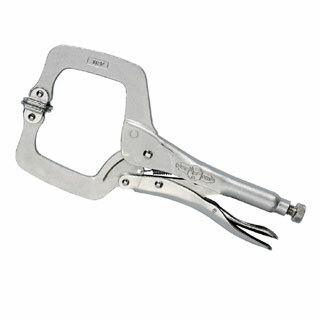 All of a sudden, nobody was thinking of the weapon any more but how to help achieve world peace. What happened? Addressing the question “How does your project contribute to happiness?” project members checked for their inner motivation – not warefare but peace and stability – and they shared it openly and honestly. This touched people, they could relate to the team’s motivation, even identify with it. Instead of being doubtful and deprecating, not only did they appreciated the project presentation but even asked how they could help the team. A project which moments earlier was dull, cold and tiring became lively, meaningful and attractive. 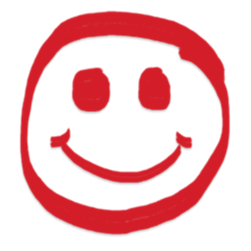 A simple question “How does your project contribute to happiness?” triggered the change of the nature of the project, its momentum and the attitude of team members and observers. So, next time you face a troubling project, ask the team this question, “how does your project contribute to happiness?, and see what happens. Autonomy – the desire to direct our own lives. Mastery — the urge to get better and better at something that matters. Purpose — the yearning to do what we do in the service of something larger than ourselves. 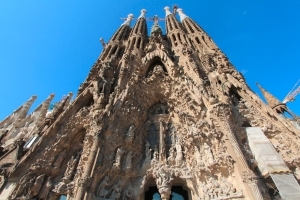 Working on brick by boring brick appears to the final stage of the Sagrada Família in Barcelona. A piece of Java code skips a mouse click in an application form, raising chances a customer will continue buying an insurance policy. Implementing legislation in processes, systems and information products avoids penalties and saves cash for investments. A proper configuration of a server keeps hackers out and the business focused on their core business. A monthly review of your risk log or skipping the benefits section in a mandatory business case for a ‘compliance project’ will get a different meaning, once you understand the effects of your efforts. Costs turn into values. System integration enables business sustainability. Daily routines like a stand-up or check-in become an index of project health or happiness of team members. What drives you home? And back to work tomorrow? The leadership role is one of the most coveted ones, but also the most challenging one. In the words of Peter Drucker, the father of modern management techniques, “Management is doing things right; leadership is doing the right things“. Businesses have evolved over the years and job roles have changed over time, but what remains crucial to success is the presence of an effective leader who has the capability to build a strong team. While in many cases there are instances of born leaders who have led from a very young age, a large number of leaders are born out of tough situations that push them to perform better than others and thus lead the team. If you have the talent and the desire to excel and be in a project leadership role, the best way to go about it is to follow your intuitive project leadership skills and have a deep understanding of the fellow members of your team. When handling a particular project, a project leader can hardly move even a step ahead without support from his team. As we delve deeper into what makes a project manager click and become successful, here are a few insights that can help you with the process. You might have heard this multiple times and eventually learned to ignore it. However, this is one piece of advice that can fetch you many followers in the form of team members who make up a strong-functioning team. As soon as an employee is hired, he or she looks around for a mentor and some inspiration. To be able to create an effective team, it is important to provide positive inspiration that your team members can follow. If you want your team to be in office early, you would have to do the same. If you want a degree of discipline about work deadlines, you would have to submit your work at the earliest opportunity. It may be tough to always play the role model, but it can also be rewarding in the end when you know you have a strong team that can take on more critical projects in the future. This also ensures that you are training every individual to be a project leader who can carry the mantleon their own once you have moved on to a higher role than project manager. Often leading a team or project is equated with being on a higher platform than the rest, and this leads to aloofness from the team and labels a leader as unapproachable. This hinders progress as your team members are not able to confide in you about their problems, be it about their project-related issues or even about their personal lives. Being a friend helps. It helps to know what’s blocking your team members’ progress and stopping them from providing quality work. Each hire involves a lot of time and money for the organization as well as the team. As a leader, if you are able to be a friend and comrade who can nurture and grow individuals instead of letting them go, it will help in building a strong and tenacious team filled with experience and resilience. In the book The 7 Habits of Highly Effective People, author Stephen R. Covey says, “Most people do not listen with the intent to understand; they listen with the intent to reply.”This attitude can be very harmful for the role of a leader. When your team members are trying to articulate something in times of a crisis, they should be able to do it without fear of being ostracized from the team or being labeled as over the top. Sharing ideas or apprehensions about a project, without fear, often provides new insight and solutions to existing problems. Contributing to the team and being recognized for it gives a team member a sense of accomplishment. Listening to even the smallest of ideas and promoting experimental processes can excite a team and encourage them to work harder. Being a leader calls for being the strong pillar of confidence. Being a straight shooter and asking direct questions can clear up the air and project you as being fair under all conditions. These actions require a lot of confidence and can in turn make you an immediate favorite among your team members. It assures team members that you can take charge of things and will be there to back them up whenever required. The true leader always backs up his or her team even in dire circumstances and always makes them feel safe. Ultimately, this feeling is what helps build loyalty among team members and their team lead. So, which project leadership skills are you going to inherit? Do you have any other qualities to highlight? Share your thoughts with us. I have just returned from a fabulous conference: the PMI Netherlands Summit 2014 in beautiful Zeist, NL. It was an honor and great pleasure to open the conference with my own keynote on “Leadership, Happiness and Project Success“. In my presentation I explained why and how leadership and happiness are the key ingredients to project success. A lot has been said and written about leadership and how it affects project success. But ‘happiness’?! Well, not so much. This is sad I think for ‘happiness’ brings in the human factor into the equation. It’s ok to satisfy the customer. But is it sufficient? I don’t think so. If you and your team aim for a happy team and a happy customer it can take your project to a higher level. Scientific research has shown that our brains work better when they are ‘happy’. And when our brains are at ‘happy’ that positivity will ripple out to others and can raise productivity. Hence, whenever you aim to promote happiness in your project you can likely improve performance and productivity. Not bad, isn’t it?! So, what is ‘happiness’? How do you define it? Well, not so fast. I am not sure if you can or actually want to come up with a formal definition of ‘happiness’. It is personal, subjective in nature. And yet, (most) people will agree that ‘happiness’ is great and worthwhile striving for. The 3 P’s – pleasure, purpose, passion – give us a hint what ‘happiness’ entails. In the context of a project I think that the purpose and passion characteristics of happiness a central. In other words, you and your team have to have a common understanding of the motivation and vision of the project. They need to know, support and share it. Not by force but because they want to – on the project, individual and team levels. Have a look at my presentation to learn more about it. At the conclusion of my keynote I invited the audience to take action to create a happier life. For this purpose I handed out GREAT DREAM postcards. 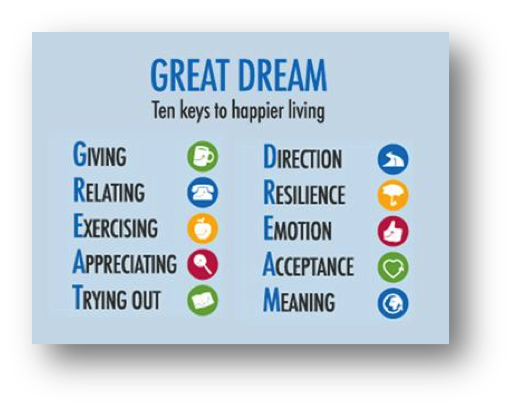 It lists 10 key to happier living based on a review of the latest scientific research relating to happiness. Everyone’s path to happiness is different, but the research suggests these Ten Keys consistently tend to have a positive impact on people’s overall happiness and well-being. The first five (GREAT) relate to how we interact with the outside world in our daily activities. The second five (DREAM) come more from inside us and depend on our attitude to life. I want to thank the Action for Happiness movement for providing these postcards at no charge. Giving a keynote on ‘happiness’ is a great experience. It gave me the chance not only to talk about happiness to a large audience but actually make people happy. What a wonderful and fulfilling opportunity! Learning more about happiness and how it can help us grow successful projects is one thing. Applying the principles in our daily lives is another and more powerful thing. Hence, I am asking you, the reader, to visit the Action for Happiness website, take the Action for Happiness pledge and start living a happier life. I believe that one of the key factors for happiness at work, and this includes projects, is PASSION. Passion comes from feeling like you are a part of something that you believe in, something bigger than yourself. This meaning by itself is still fluffy if you expect a formal definition of the term. Alas, I am not sure whether or not it is a) possible or b) desirable to offer a formal definition. 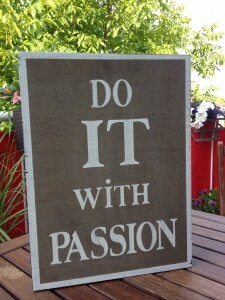 Passion is, just as ‘happiness’, very personal and subjective in its meaning and its implications. Hence, I like to stay it with the attempt of the offered description of passion, i.e., passion comes from feeling like you are a part of something that you believe in, something bigger than yourself. And yet as ‘passion’ is subjective as it may be it is not limited in its scope. Passion can be contagious. Look at a group of people who are passionate about their activities, may it be music, sports or work. When you observe them not only can you see the smiles in their face, you can literately feel and sense their passion, their excitement and energy. These people share something in common, something that moves them, something that excites them. And they love every minute of it. What would you do as an observer or bystander? I can speak for myself: most likely, watching a passionate group of people would make me smile for I like it when I see people who are happy. And I may even admire them for having found their passion and expressing it. It is cool and it is worthwhile striving for. It may remind me of my own passion. Or it may remind me that I yet have to identify my passion in a specific area and express it. Fact is that expressing your own passion releases energy and it comes back to you multifold in a very positive way. It is a ‘flow’ state where time seizes to exist and you enter a state of ‘being’. Achieving a flow state is a wonderful experience. It is fun, exhilarating, exciting, stress-relieving, enjoyful, dramatic and pure. It is multi-dimensional in the sense that it can come from your work or project, from your own personal self or from and with your team, or – even better for a project or work setting – from all of these levels, i.e, individual, group and project levels. This is what happens in WOW projects. WOW projects are projects that add value, projects that matter, projects that make a difference, projects that leave a legacy. And those are projects that bring happiness into our daily work life. Both on the individual and team level. Passion is a key ingredient to this WOW experience. So, go out, find your passion and do it with passion. Learn more about how to find your passion and use it in your projects at work. For example, have a look at my seminar “Finding the Spirit of WOW Projects“. I will be giving a keynote address on ‘Leadership, Happiness and Project Success’ at this year’s PMI Netherlands Summit on Thursday 12 June 2014. Thomas Juli is an experienced professional on leadership in project and program management, consulting and training, as well as in teaching. He previously worked for SAP, Sapient and Cambridge, but has now committed to helping others improve their leadership skills through which to experience more project success. He is a welcomed quest at conferences and his book has gained lots of followers. We recently talked to Thomas about what is needed for project success and what happiness has got to do with it. Thomas Juli: First of all, whenever I say this title people say ‘Well what do you mean by happiness and how does this fit in?’ and I explain ‘You know, there is an equation for project success and that is: LEADERSHIP + HAPPINESS = PROJECT SUCCESS’. And people look at me asking What do you mean? –Because happiness can be a result of project success’ and I say ‘No. It’s the other way around.’ For example, people say ‘I want to be promoted to the head of PMO and then I will be happy’, and then they achieve this stage. Are they happier? No, because life continues. Happiness is not linked with a career move or to anything. But if you’re happy internally and the team is happy, you can really create a lot of things because team synergy is “Team Magic”, what I call it. Listen to the podcast here or download the whitepaper of the complete interview. Interestingly when you ask a child the question “what makes you happy?” you are more likely to receive a response. How come?! I believe it is because children have less fallen victims to external pressure (even though they too can have quite a weekly schedule with sports clubs, music lessons, etc.). They live in the moment, can – or shall we say, are allowed to – be passionate about their activities. Hence, today, let’s stop for a moment and ask ourselves what deep inside motivates us, what we are passionate about. Let’s listen within and find the spark of happiness which makes our lives so much easier and at the same time moves us closer to happiness and success. Higher Education – Investment or Waste? Immigration – Welcome or Not? Ethical Capitalism – Worth a Try? 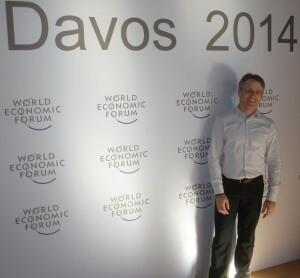 The Secret Is Out – What’s Next for Switzerland? Have a look at these video streams of the panel discussions below. Luckily, in every panel discussion I had the chance to ask the panelists a question. I cite the slot in the video where you can watch me asking the questions. For a list of all WEF related posts, please select the News Category ‘WEF’ in the right navigation bar or click here. Benjamin Franklin once said, “An investment in knowledge pays the best interest.” Yet today, the US has a trillion dollar student loan bubble and the graduate unemployment rate has reached 14%. With over 285,000 university graduates working at minimum wage in the US, many students are faced with buyer’s remorse. Is it time to reconsider whether a college degree is worth the investment? Youth unemployment is a very big issue in Europe. On the other side, the OECD publishes the PISA report. Interestingly, countries ranking very high in this report, don’t have the lower youth unemployment rate as the report might suggest. Hence, isn’t it time to revisit and qualify the priorities and check and update the underlying assumptions of this report? Listen to his answer at 1:05:00 in the video stream. Read a previous post including an analysis of this panel discussion. For over 200 million people, migrating to a foreign land represents the hope of a better life and valuable career experience. While viewed by some as an opportunity for development and a healthy source of skills on the job market, many people are concerned with irregular flows of migrants, the cost of integration and potential increase in criminal activity. With European migration on the rise, should governments improve their integration policies or impose barriers to entry? What projects do you have in mind that could help prevent a “brain drain” in African countries? What projects in Western Europe do you suggest that could help us become more sensible for “brain drain” in developing countries? Listen to his answer at 0:41:03 in the video stream. Capitalism lifted 1 billion people out of poverty in 20 years but, today, society is discontent. Some believe the neo-liberal capitalist model needs shaking up, and that regulators, supervisors and corporate governance managers have failed those they are meant to protect. Western economic and social crises are pointing to the bankruptcy of the capitalist model. Yet the question remains: What is the alternative? Listen to his answer at 1:14:00 in the video stream. Women represent more than half of the world’s population. Yet, with enduring patriarchal traditions, women still do not have the same rights as men. Issues of reproductive rights and socially mandated roles in the family remain controversial. Considering the important role of faith in social and economic development, can religious bodies help rethink the role of women in society? The US is a strong proponent for faith and gender equality worldwide. On the other side it seems that the US education system is moving backwards as reflected in the debate whether or not evolution or creationism should be taught in high schools. What is your view on it? Is this something we have to be afraid of? Listen to his answer at 1:11:00 in the video stream. Switzerland is known for its chocolate, watches and banking sector. But today, with traditional banking secrecy gone, the country has to reinvent itself to retain its competitive advantage. Can Switzerland use this shift to its advantage by creating new markets while continuing to benefit from its pharmaceutical, energy management and tourism industries? Mr. Bundespräsident, you are saying that all Swiss citizens are integrated in a project. The question is: what are the goals of this project? What is the joint project vision? Listen to his answer at 0:59:18 in the video stream. Today was Day 3 of the workshop “Chairlift to Innovation”. We took easy today and reviewed and refined the results of Day 1 and Day 2. Bottom line of the workshop: We’ll do it again! The concept of the workshop was completely new to us. Promotion was on a low key (Facebook, LinkedIn, Xing and our website). This was probably one of the reasons for the few participants. However, for those who did show up it was a blast. We were amazed by the results and had lots of fun on he slopes and, of course, on the lifts. Hence, the bottom line was that we will definitely repeat the “Chairlift to Innovation”. Promotion will be improved for certain. In addition, we will most likely partner with other organizations or companies to market this event. Whether or not it will be possible to hold the workshop again this winter, is rather unlikely. If so, we will post it ahead of time.